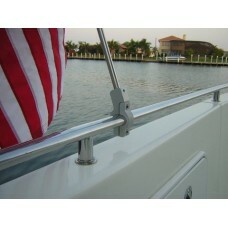 Some boats come with an oval railing on the stern, we gladly accommodate as seen here. 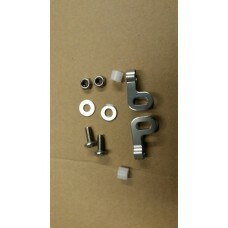 Accurate dime..
We still offer our original stainless steel swivels until they are gone. 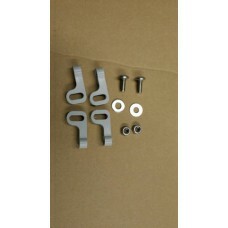 They will last a life time ..
Our unique swivels make the least possible noise we could come up with and still function as well as..
Our flat mounts are for arches, roof tops, stern and bow mounts where no rails are. 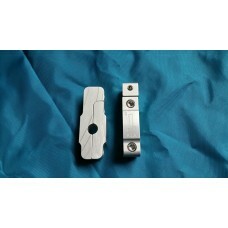 They come clear ..
Our rail clamps are machines to fit your rail perfectly, leaving a gap of .030 between the clamp hal..